In a wok heat the oil to between 160-180 degrees. Crack eggs one by one into a small bowl and gently add to the hot oil (the egg should bubble and form a crisp outer skin within 30-40 seconds). Removed with a slotted spoon and drain on absorbent paper. Continue with the remaining eggs. Coarsely grate palm sugar and place in a saucepan over medium heat. Cook, stirring for 4-5 minutes until palm sugar melts. Add lemongrass, kaffir lime leaves and galangal. Reduce heat to low and cook for a further 10 minutes. Carefully add fish sauce and tamarind paste (mixture may spit) and stir to combine. Strain through a sieve into a bowl. Cool to room temperature. 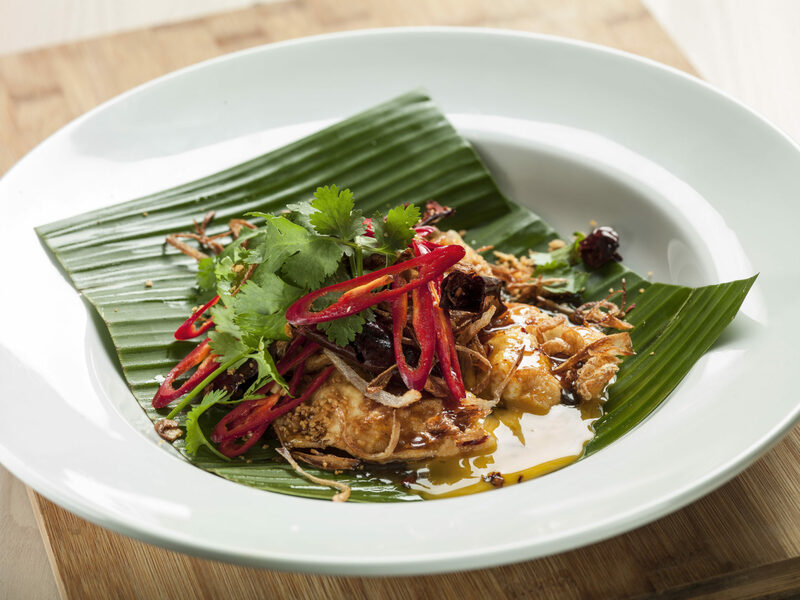 Place eggs on serving plates, cover the eggs with the sweet fish sauce and generously garnish with fried shallots, garlic, coriander and fresh sliced chilli. Serve immediately. Watch Martin make this recipe below, or on the Farm Pride YouTube channel.